Atalanta will want £43.1million for West Ham target Duvan Zapata in the summer, according to Calcio Mercato. The Italian news outlet claims that the Colombia international is the “forbidden dream” of the Irons, who appear to be interested in adding to their strike force in the next transfer window. Zapata, 28, is currently on a two-year loan at Atalanta from Sampdoria, but Atalanta have the option to sign him permanently at any point. 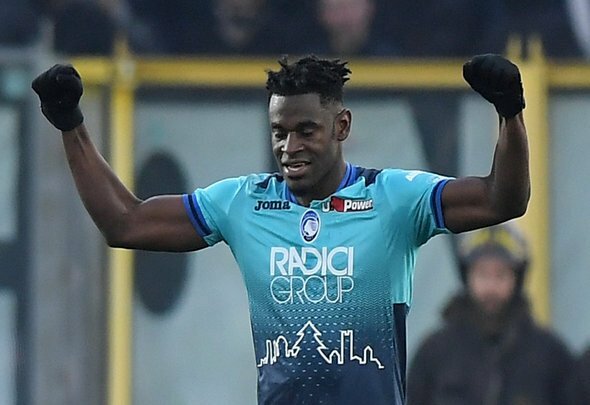 It seems as though Atalanta will buy Zapata due to his red-hot form this season, and then slap a £43.1million price-tag on his head if West Ham come calling. It is no shock to see West Ham in the hunt to sign Zapata, who has been a real goal machine for Atalanta this season. The Colombian striker has scored 25 goals and supplied six assists in 39 appearances across all competitions for his loan club this term, finding the net against the likes of Roma, Lazio, Napoli and Juventus. Zapata has incredibly scored four goals against Serie A leaders Juve, firing braces against them in two matches. West Ham are going to need a new striker or two in the summer because there is a lot of speculation surrounding the futures of Marko Arnautovic and Javier Hernandez. Andy Carroll and Lucas Perez are also expected to leave, so reinforcing the attack is bound to be a priority for Manuel Pellegrini in the next transfer window. Pellegrini has not shied away from signing fellow South Americans since taking charge at the London Stadium, so it would not be a surprise to see him meet Atalanta’s £43.1million price-tag and sign Zapata from them.